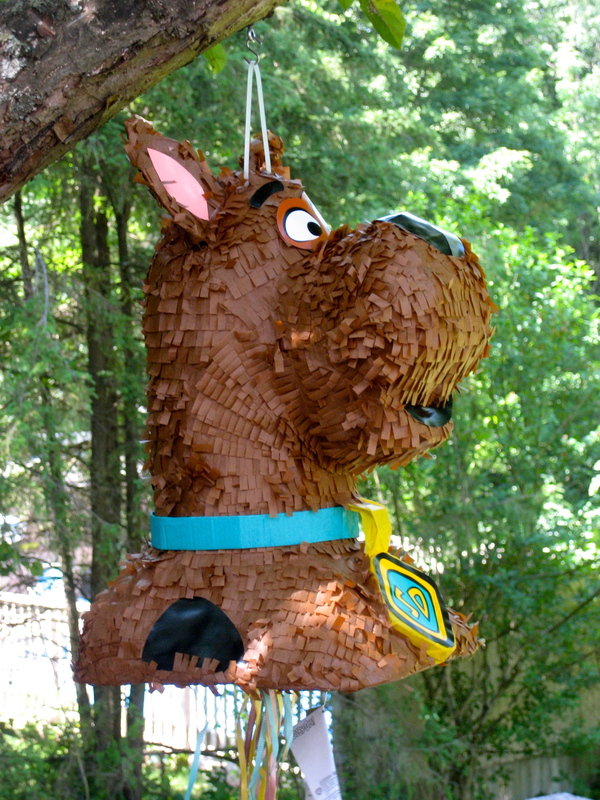 Scooby Dooby Doo…a kid’s party! It’s that time of year when daycare closes for the summer and we party with a year-end celebration! 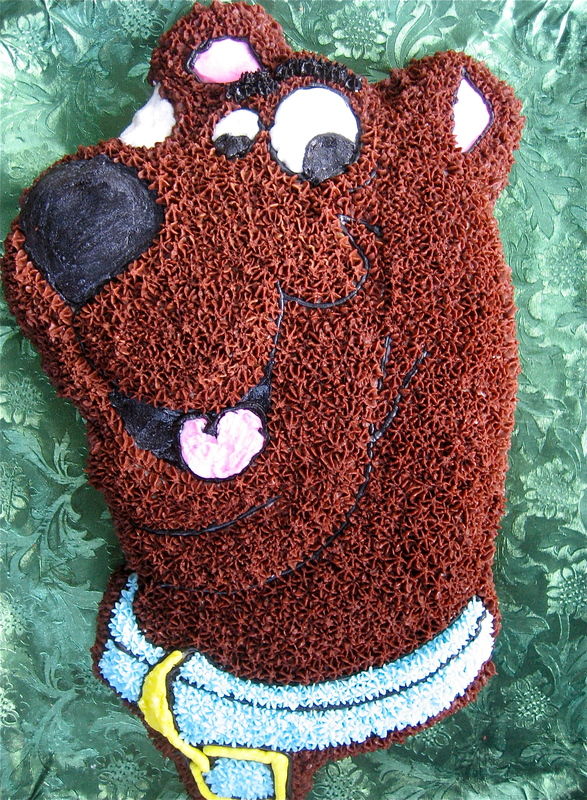 This year’s theme was Scooby Doo, one of the kids’ all-time favorite cartoon characters. I was a bit surprised that the cowardly dog, who would rather have a snack than solve a mystery, would remain so wildly popular after 41 years! When the kids began to memorize the lyrics of the theme song, back in October, I knew we had the makings of a great party. 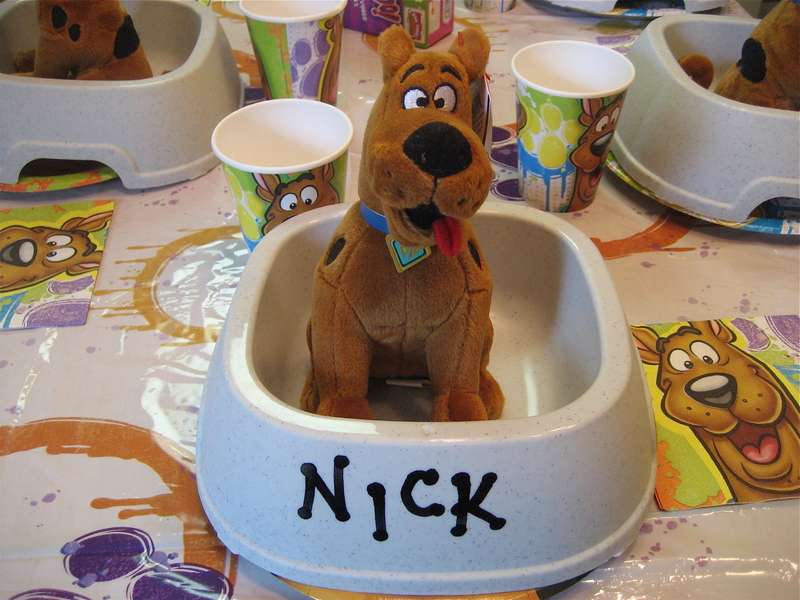 In keeping with the theme, I labeled some dog bowls with the kids’ names and we used them at lunchtime to eat (you got it!) hot dogs! NO party is complete without a pinata filled with lots of goodies, and I just love the looks on their faces when all that candy comes pouring out at their feet! It was a happy day and a successful party, for sure. I didn’t bother to share with the kids the fact that, a long time ago, Scooby Doo was a part of my Saturday morning lineup. And when I began to think of just how long ago it actually was, I had myself a Scooby snack, jumped into my Mystery Machine and headed to Marshalls (ruh,roh), where depressing thoughts vanish in the shoe department. What a fantastic looking party!~I had to laugh..Reminds me of one of my all time favorite bumper stickers..”What would Scooby Doo? ” Beautiful cake and extraordinary creativity! I would expect nothing less. Great post.Keep em’coming!